Mix together 525g plain flour, 1½ tbsp caster sugar and ½ tsp salt in a large bowl. 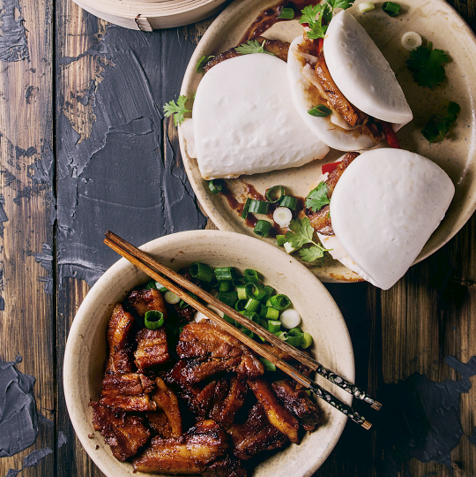 Prise open each bun and fill with barbecue pork, pickled carrot and spring onion. Eat while they’re still warm.